4G networks led to a boom for smartphones; 5G is set to do the same for smart cities. From Lyft to Airbnb, 4G mobile networks sparked an explosion of mobile apps that have transformed the way we live. And in doing so, they ushered in the sharing and gig economies. But if 4G marked a big step forward in communications technology, 5G will be a quantum shift. Featuring a projected transmission speed of around 20Gbps (many times faster than 4G), and latency rates of less than a millisecond, 5G will connect people and places like never before. This will be taking place on an increasingly urban planet. By 2050, nearly 70% of the world’s population will live in cities – people who will need housing, jobs, services and infrastructure for their burgeoning (and aging) populations. 5G will provide the connectivity that will transform the lives of millions and millions of new city-dwellers. 5G is projected to reach half the world’s population by 2024. By 2030, as many as 125 billion IoT sensors and devices in our homes, cars, offices and streets will be networked together, creating radically new environments in which we will live and work. Technology will no longer be about the devices we carry, but about the networks that carry every aspect of our lives. These networks will give cities of all sizes the opportunity to become smart, vibrant hubs that offer people a great quality of life. 5G promises much, and the countries that adopt the technology first will also be the first to reap its rewards. The US was the first country to roll out 4G, and as a result, US businesses were able to lead in creating previously impossible apps offering revolutionary services. But today, a four-way race is underway to deploy the first 5G networks at scale. China, the United States, South Korea and the EU have all launched pilot networks in key cities. Given the country’s digital agenda, it’s no surprise that China’s 5G goals are the most ambitious. The Chinese Government is investing hundreds of billions of dollars in infrastructure and across sectors to be first past the post. Its efforts started with 5G pilot networks in Beijing, Shanghai and a dozen other cities. Now, Beijing alone has more than 300 5G bases. In the US and South Korea, the drive to adopt 5G comes from another source: the telecoms sector, in partnership with cities and government. In the US, private telecoms carriers are collaborating with cities to roll out pilot networks and innovation labs for creating smart city solutions. Verizon has activated one of the world’s first 5G networks in four cities, with dozens to follow. AT&T has launched networks in two dozen cities. And South Korea’s telecom companies are partnering with government, cities and research institutions to launch networks in the country’s major cities. Meanwhile the EU has designated 20 “testbed” cities to trial consumer-focused 5G applications as part of its 5G for Europe action plan, which aims to have a 5G city in every member state by 2020. Barcelona is one of these testbeds, launching a pilot program for connected cars, health care, industrial applications and entertainment. The countries that adopt the technology first are also the first to reap its rewards. 5G networks will power the sensors and devices that support cities’ mobility networks. This will give rise to connected autonomous vehicles and intelligent transportation networks. All of which will reduce the number of vehicles on the road. This change is already underway in some parts of the world. Shanghai is the first Chinese city to build an intelligent vehicle network using 5G, which is projected to cover 100 square kilometers by 2020. Other cities are already moving toward a low- or no-car future. In Phoenix in the US, Waymo has launched the world’s first self-driving taxi fleet. Oslo is about to permanently ban cars from its city center. Berlin, Madrid, Mexico City and more are following suit, as well as redesigning their busiest streets for walking, not driving. 5G networks will transmit data rapidly from large numbers of sensors and IoT networks. This will allow cities to constantly recalibrate all their services in real time to reflect changes in the environment. Chicago is piloting this concept on a much smaller scale with its Array of Things urban sensing project. First, a network of sensors will collect real-time data on things like weather, traffic, pollution and trash collection. City leaders then work with businesses, civic groups and universities to act on that data, and adapt the city’s operations to suit. In South Korea, mobile operator KT is developing an airborne platform for disaster and safety management. The platform uses drone surveillance and robots to carry out search-and-rescue operations. Rescuers will also have augmented reality glasses that connect directly to doctors, to help them give emergency treatment at the scene. This is just one example of an emerging reality. Smart, sensor-enabled technologies open up the possibility of many more – from detecting potential maintenance issues on infrastructure networks before they become failures, to rapidly redirecting traffic following accidents and other incidents. The combination of more data, faster analysis, and rapid responses that 5G enables could revolutionize the way cities work. One of the challenges of rapid urbanization is making sure all residents have access to the same opportunities and access to services like broadband, education and health care, as well as the ability to take advantage of mobility services and economic opportunities. Huawei and the Kenyan mobile network operator, Safaricom, are partnering to bring 5G services to Nairobi and rural areas around the city. These will give people access to education, along with literacy and training programs. 5G will also allow people to access health care using telecommunications technology, while sensors monitor their vital signs. In the US, Verizon is partnering with Columbia University in New York City to pilot remote surgery and physical therapy, and deliver telehealth, through 5G. Technologies like this will enable health care providers to provide rapid care to many, and allow patients to age at home. As 5G rolls out, cities will become laboratories for experimentation and innovation — and the possibilities will be endless. Imagine a future where residents wearing virtual reality glasses can mend their appliances, or remodel their living spaces, with the help of a remote expert. Where commuters with wearable devices can switch seamlessly from e-scooters to the Hyperloop. And where mayors can create “digital twins” to test city operations, infrastructure investments or reforms before implementing them. Now imagine that these cities are also home to a blossoming industrial internet sector. Companies can build their own 5G networks to connect them with every part of their business, their suppliers, and the wider industry. This in turn spurs new business models — for example, companies selling off excess network capacity — as well as opportunities for entrepreneurs. Realizing this exciting future will bring challenges. 5G technology relies upon dense, fiber-optic networks, which are very expensive to build. And investing budget in networks is a big ask for city leaders who also have pressing social issues to solve. What’s more, rolling out the networks alone won’t bring change. Transforming urban ecosystems will involve city governments, businesses, civic organizations and residents all working together to solve challenges and make the city a better place to live. The sooner cities begin this process, the more they — and the people who live and work there — will benefit. 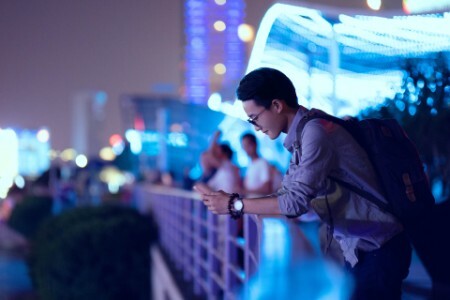 Fifth generation mobile networks could help solve many urban challenges — and create connected, people-centered communities. City leaders must think big and collaborate to harness their transformative power.